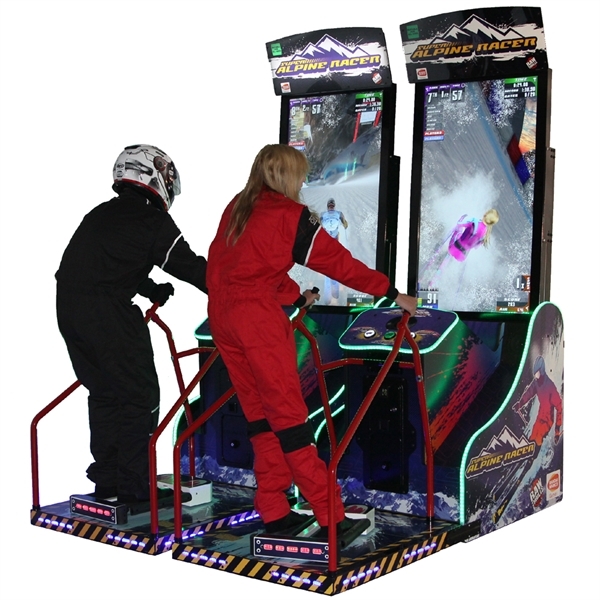 With the Alpine Racer Arcade Game feel the adrenaline flow as you ski on some amazing downhill courses. 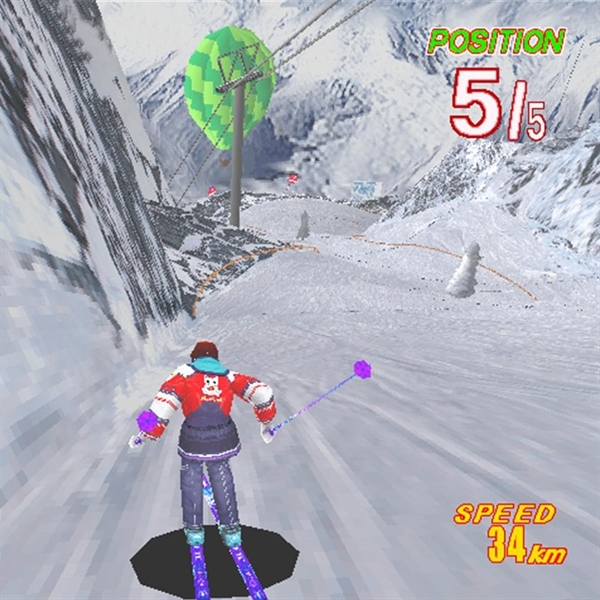 You will never be able to ski like this in the real world. Through giant valleys, over the rooftops of a sleepy village, and past the check point to progress to the next level. 1 or 2 Player. This arcade game has been modified with 42in plasma screens. 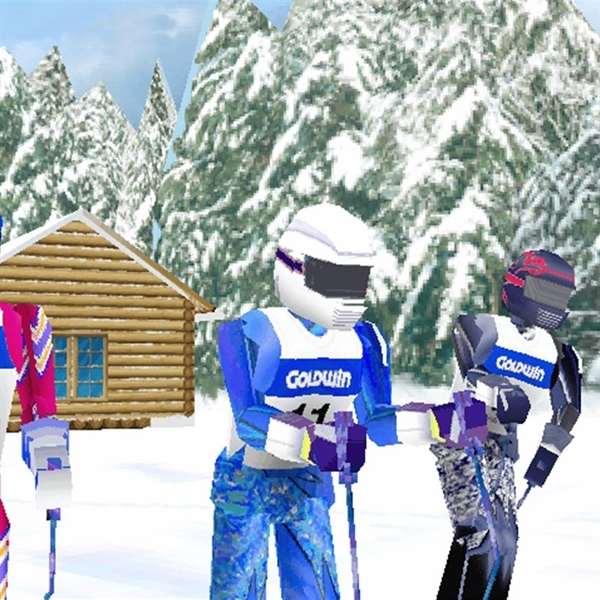 This Alpine Twin Racer Ski simulator game is great for your ski themed event. 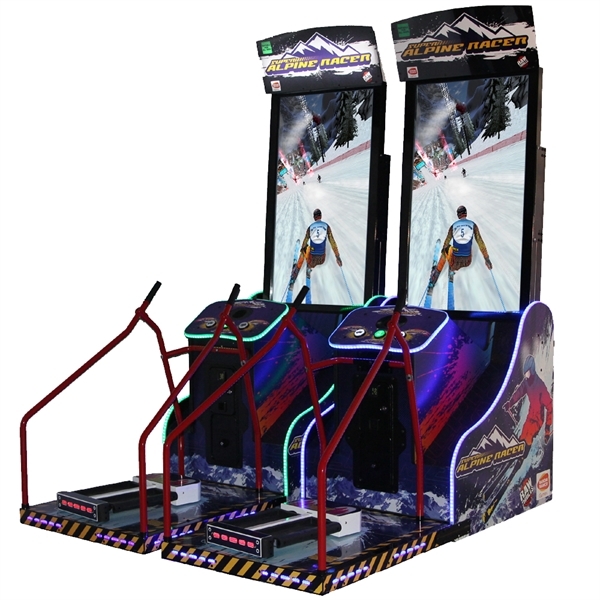 This ski arcade game is also ideal for a winter themed party or James Bond 007 functions.This game will attract crowds to your trade stand or product launch. 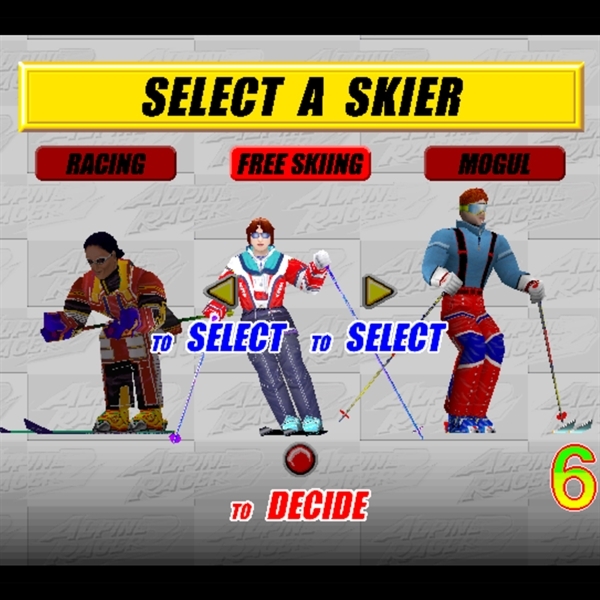 Simply the best ski simulator game available to hire. 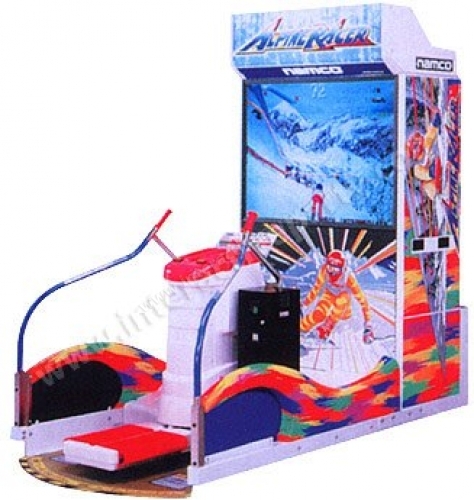 Two arcade games linked together create a fantastic competitive atmosphere at any function.